So many devices! Too many cords! Plug in your Ethernet enabled devices without plugging in at all. Not only does the Dongle Bridge make your wired connections wireless, it makes them faster, too. Get rid of lag from your gaming life. Connect to your TV box. No more long cords running around your office. This is your bridge to maximum wireless performance. PLEASE NOTE: This product requires a computer or laptop with an Ethernet port, Wi-Fi capabilities, and USB compatibility in order to create a wireless bridge with your system. 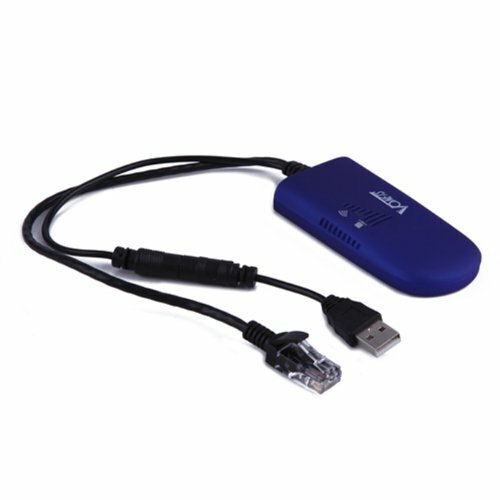 Product requires both the USB and Ethernet connectors be plugged in to receive power from your device.